The urgency of the ivory war has reached the point of crisis. Poignantly highlighting the gravity of the circumstances in which we now find African elephants, Bee Elle writes an article entitled ‘War on Ivory’ in her new Turn to Dust series for Conjour magazine. “There is no doubt that the world understands the situation of the ivory trade and the injustice that courses through its veins. Like an antiquated phenomenon, poaching, and the selfish demand that fuels it, continues to run rampant in today’s modern age. With the widely reported rate of 1 elephant being killed every 15 minutes, it’s easy to calculate that the planet may well lose all of its African elephants within the next 10-20 years. 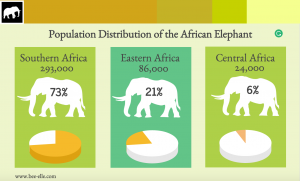 In a handful of range states, elephant populations appear to be heading in the right direction: Kenya, Uganda, Rwanda, Namibia, Zimbabwe, and South Africa have stable or increasing populations. 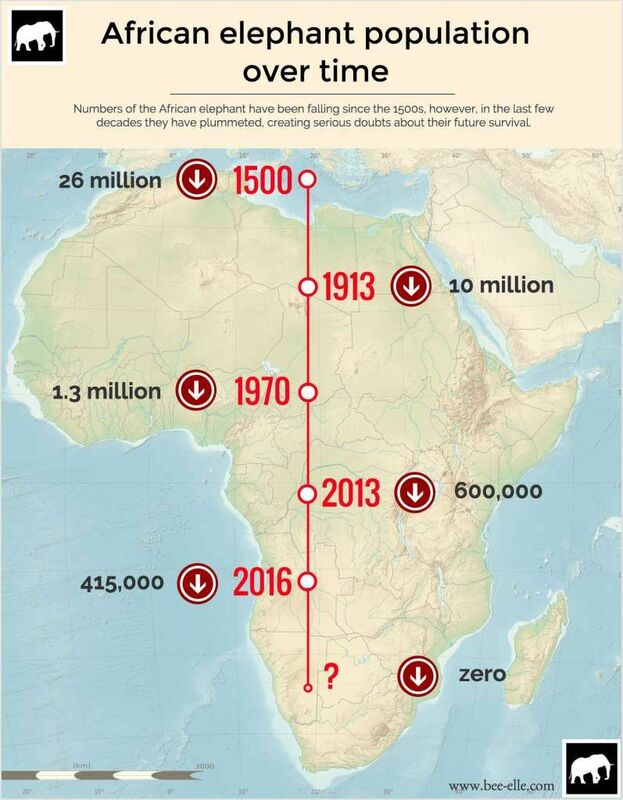 Other countries however, show appalling statistics, and disproportionately force the overall population of the African elephant to a historical low, with less than 415,000 remaining in the world today. Their plight is not met without strong support from governments, communities and citizens, however, and the support continues to build. Global news outlets, particularly those coming from the West, have reported regularly on the situation of these gentle giants. Awareness of the situation has spread widely and has triggered increasingly more citizens to engage in advocacy at unprecedented levels. The largest markets of ivory have made clear and significant changes in legislation. What is perhaps sorely missing from the narrative, however, is that behind the headline reporting and the solid support the issue has amassed, a much graver issue lies quietly beneath. 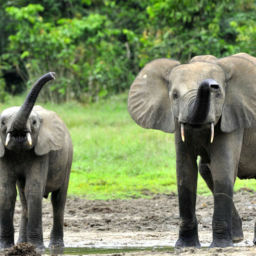 The smaller African Forest Elephant is plummeting to extinction significantly faster than its savannah counterparts. 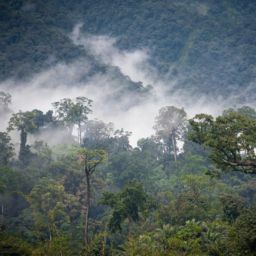 Existing quietly and elusively in the forests of Central Africa, their plight seems drowned and hidden in, ironically, the very advocacy that is there to save their species. In 15 years, the population of the forest elephant has plummeted by 60%, and as a consequence, their numbers are shockingly low: only 63,000 remain. The smaller elephant is not well differentiated in the reporting, yet their endangered state arguably warrants more attention due to their faster death rates, their smaller population and the various factors weighing against them. 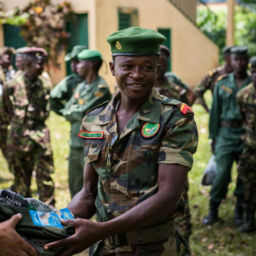 Central Africa has one of the highest rates of poaching across all range states. Between 2002-2013, forest elephants were being poached at a rate of approximately 60 per day. The region has had endured a tumultuous history of conflict and instability and is plagued with poor governance, which further exacerbates the difficulty of conservation operations. Their elusive nature and the inaccessibility to their forest habitats makes research and anti-poaching efforts extremely difficult. Contrastingly, this very habitat makes it easy for poachers to hide, make the kill, and flee. The odds against them continue: scientists currently lobbying for the forest elephant to be classified as a separate species are met with large obstacles, despite the mounting evidence that they differ from their savannah counterparts distinctively, their ancestors having split about 5-6 million years ago. If the species reclassification is successful, the forest elephant would, by international conventions, be clearly classified as endangered, if not critically endangered, and given the highest protections. The move would make a world of difference to their chances of survival- literally.